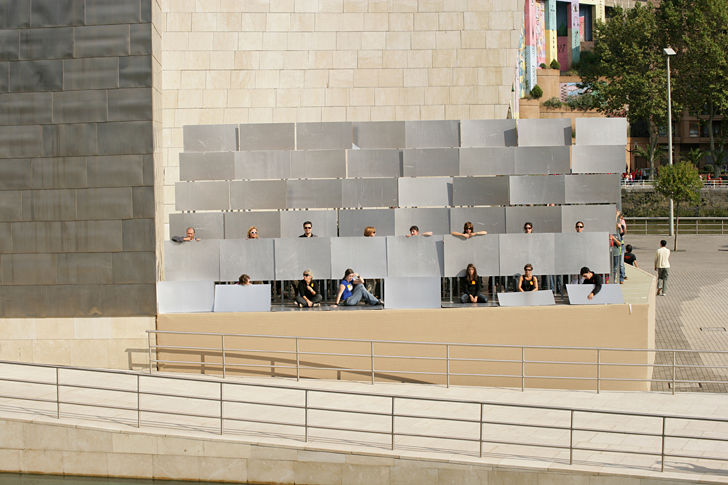 Enlargement of the Museum involving Museum Members. 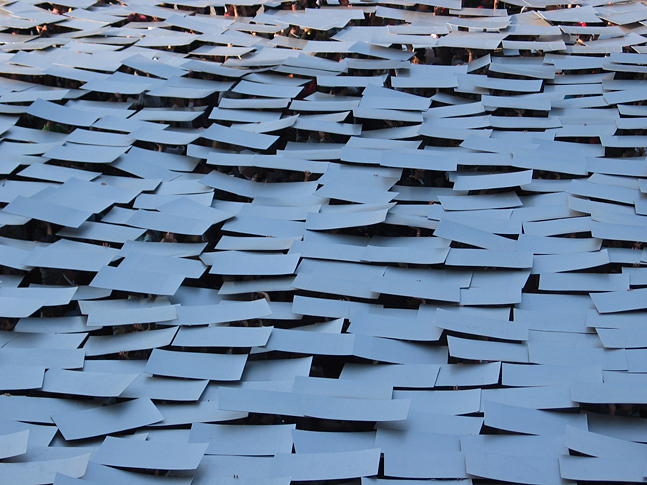 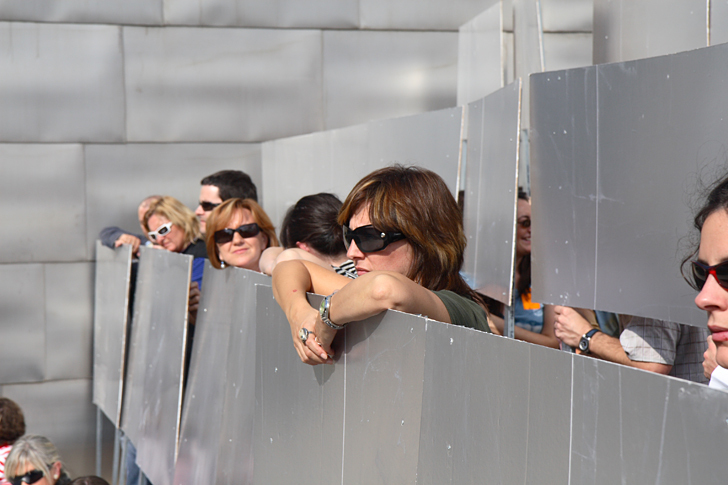 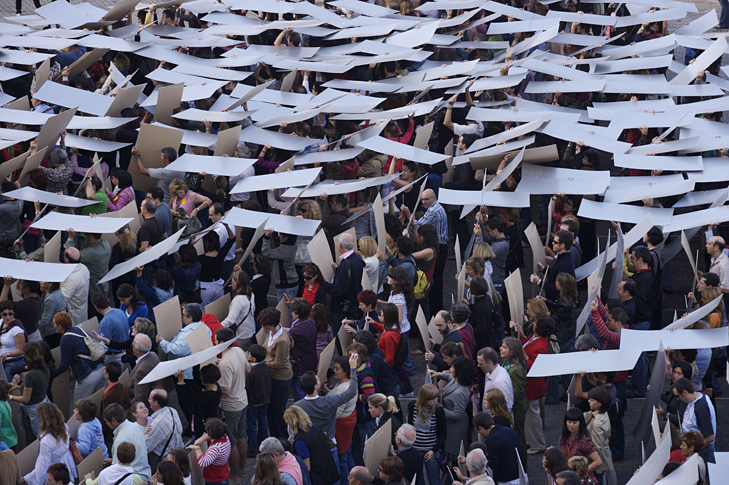 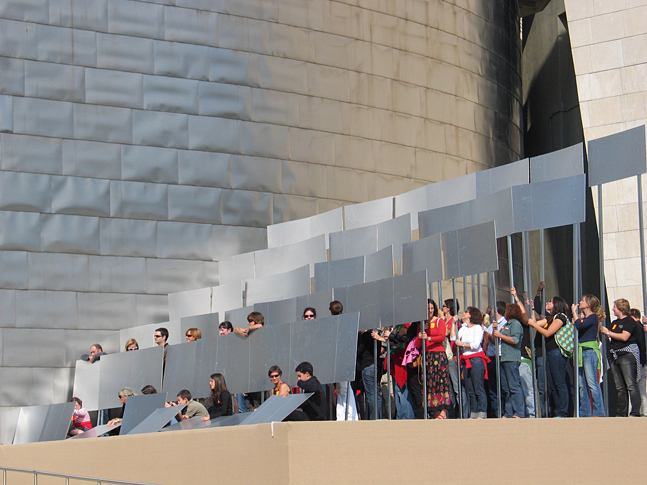 Each Member carried a panel that resembled the titanium plates used in Frank Gehry’s structure. 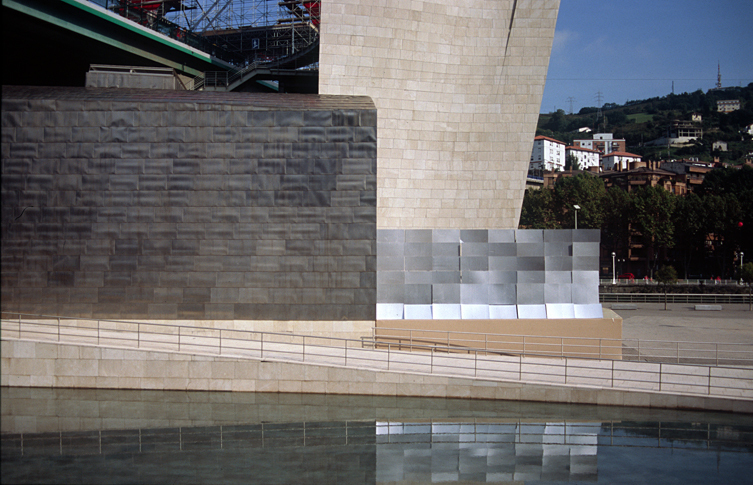 The arrangement of the panels created an ephemeral new gallery and wall at the Museum. 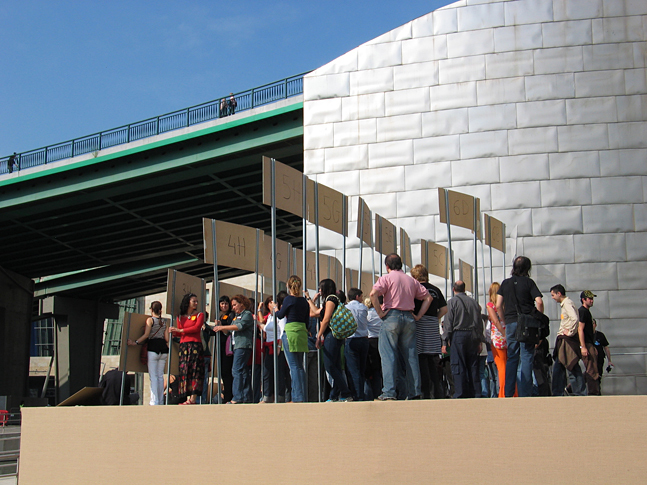 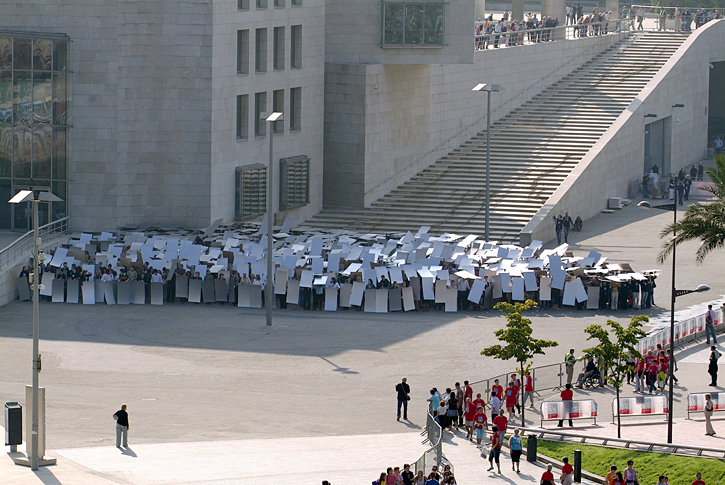 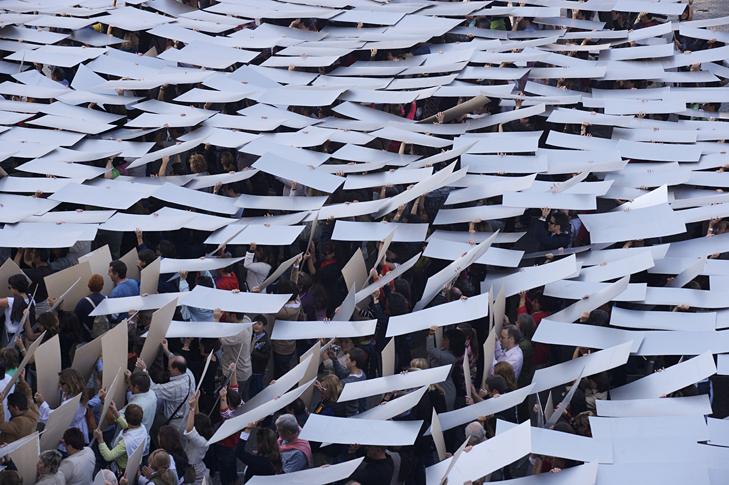 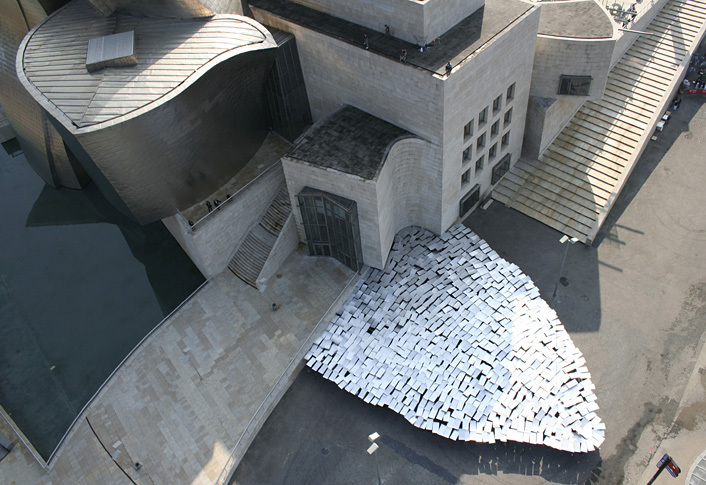 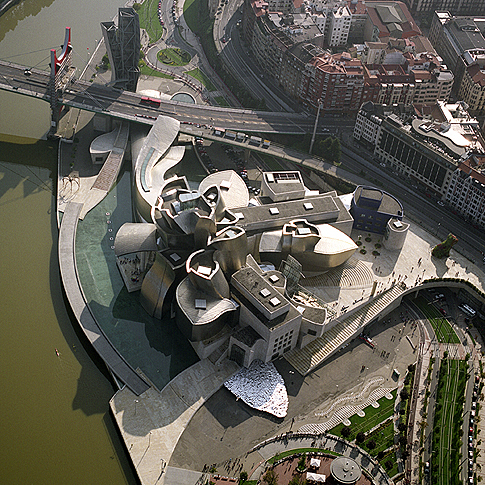 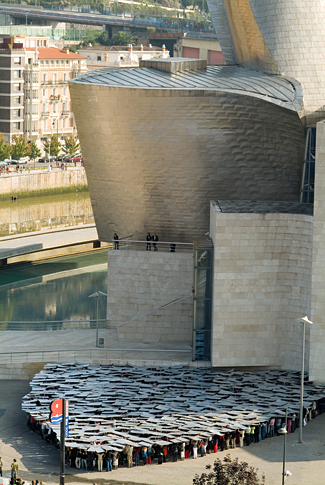 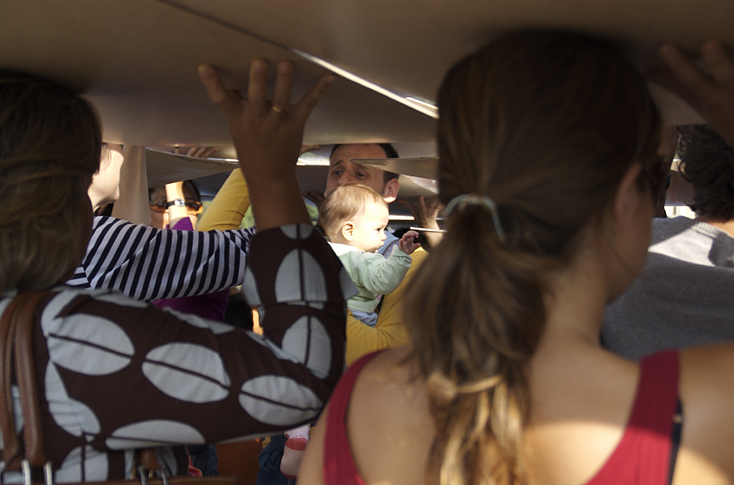 7 October 2007, Guggenheim Bilbao Museum, Basque Country.